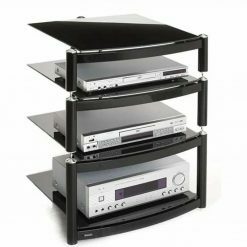 The Prelude Range of Optimum Modular is a small seven-shelved four-legged modern support stand system. It is complemented by matching heavyweight top caps and optional floor studs. 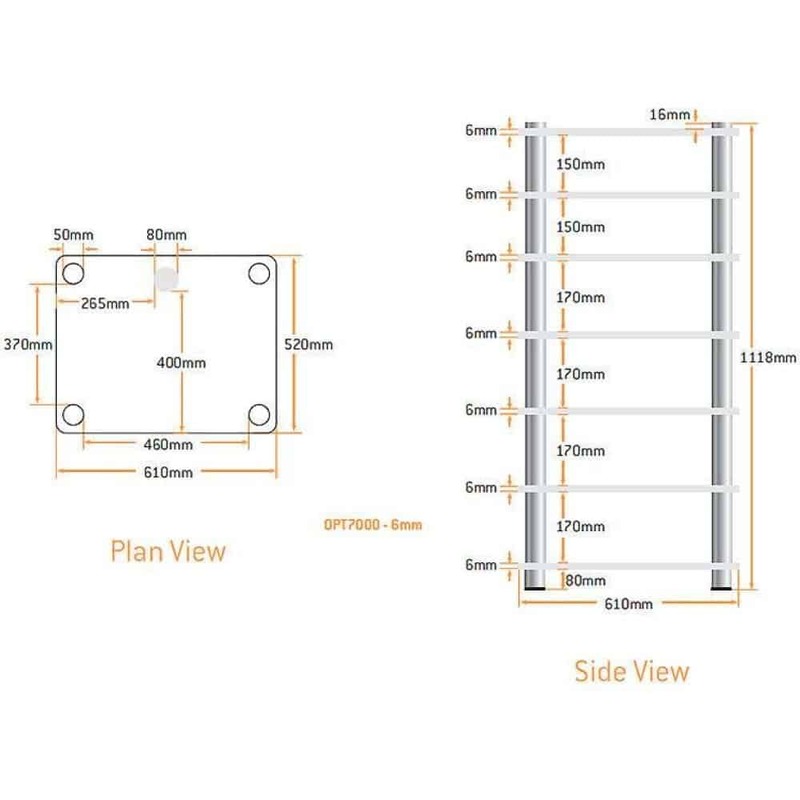 It also has an extra depth of the toughened safety clear glass shelves around 520mm. 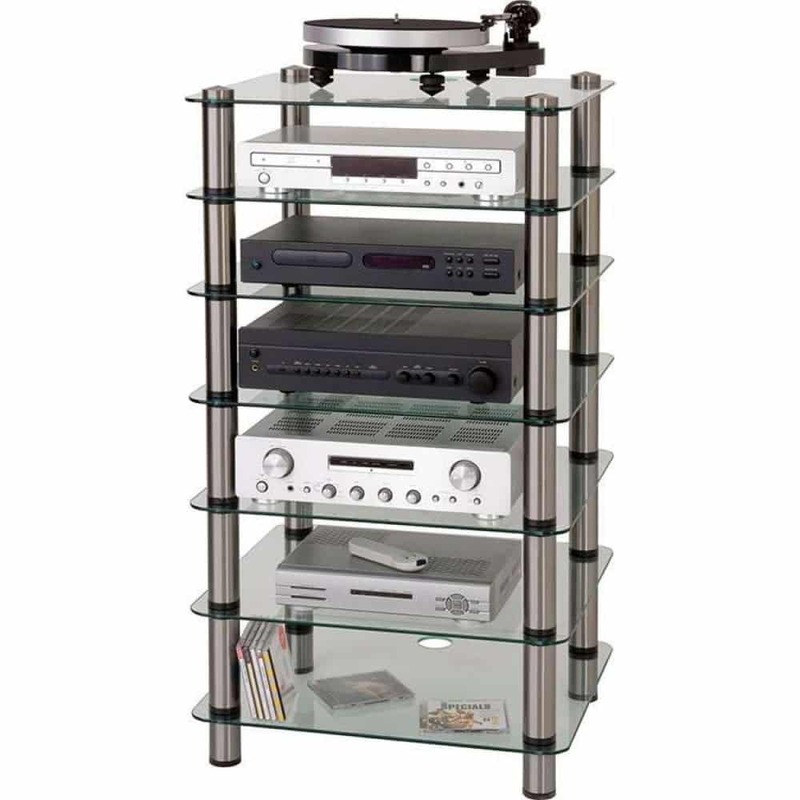 This shelving table storage unit allows the stand to accommodate a large range of fully sized AV audio or turntable system equipment that can also be deep. Please note that the above-described shelf spacings may be varied. If this is a requirement, please enter your requirements on the checkout in the “Special Delivery Instructions / Additional Info (if applicable – shelf spacings etc. )” box. 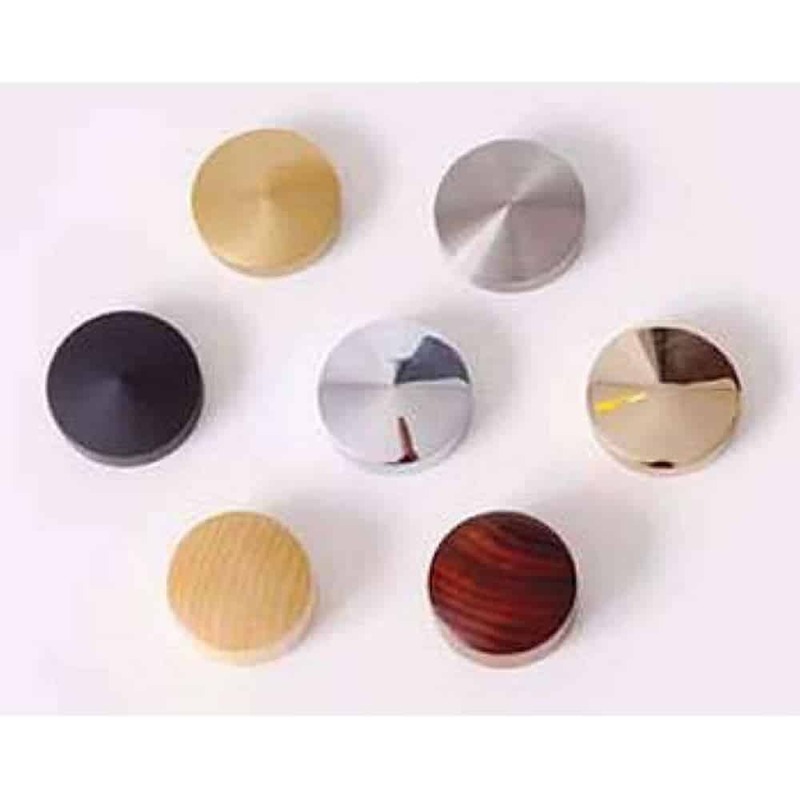 Available spacings are 80mm / 120mm / 150mm / 170mm / 200mm / 230mm / 250mm / 320mm / 400mm / 500mm / 600mm. Not all of the support rods are available in all of the finishes. 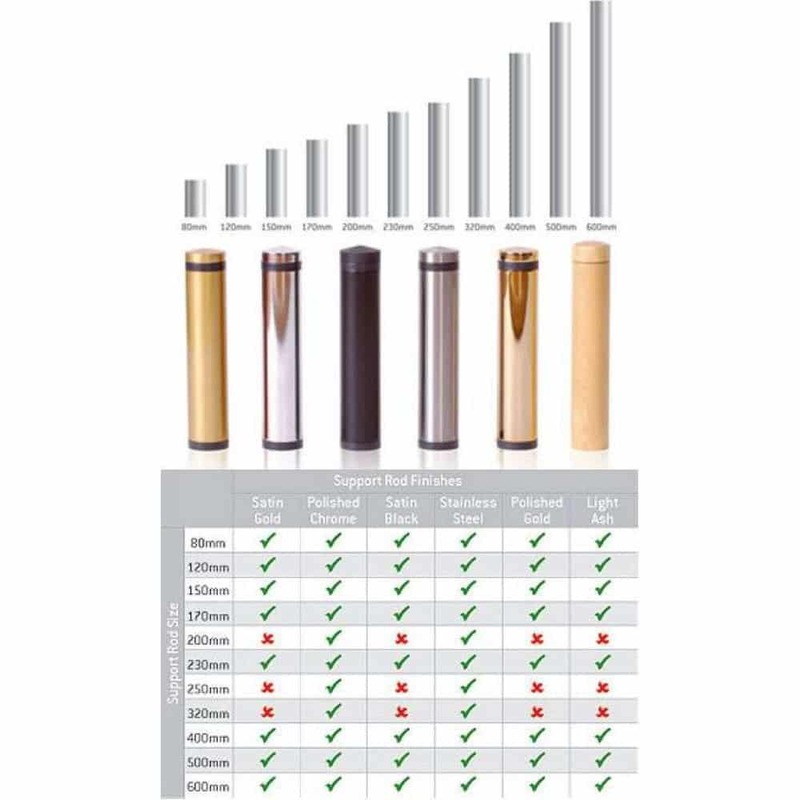 Please use the table in the product images to check what is available.